Kasane is, with its population of under 10,000 people, a blissfully quiet town in a blissfully quiet region of the world. Perched upon the banks of the Chobe River, this little town is the gateway to the Chobe National Park, whose sprawling miles of sun-soaked, lovingly preserved natural beauty have enchanted tourists for decades. And for a limited time, cheap flights to Kasane are now available so seize your chance to take a trip to this gorgeous African getaway today! Kasane is home to Kasane Airport (BBK), which is used mainly by tourists. Transport away from the airport is chiefly via private shuttle services offered by local accommodation establishments and tour groups. 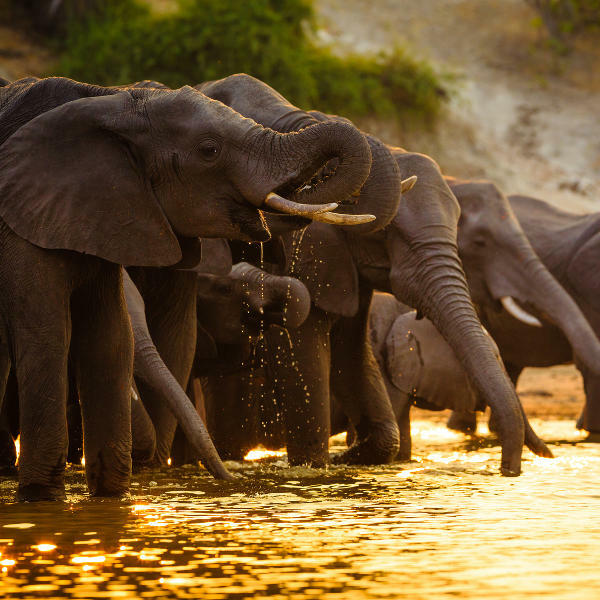 Kasane represents the opportunity offered by Africa to immerse oneself in its miles of unspoiled natural wonder, and to come face to face with its beautiful wild beasts. As far from the suffocating hubbub of the urban landscape as one can hope to get, Kasane offers its guests a chance to completely escape the rigours of modern living. 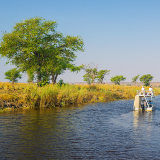 With cruises offered at establishments across the area, you are afforded numerous opportunities to drift upon the waters of the flowing Chobe River and soak up the African sunset. Like much of Africa, Botswana is, generally speaking, warm throughout the year; even its coolest period, from June to September, varies little from the rest of the year, reaching heights of around 24˚C at times. The coolest period, notably, is also the height of the tourist season, since, besides being the least hot, it is also the period with the lowest volume of rain, and the highest concentration of wild animals out in the region’s sprawling natural parks. Go during this time, and your experience will be a little cooler and a little drier, and involve a few more sightings of wild wonders; but go more or less any other time, and any weather differences will be, for the most part, negligible – and, what’s more, you’ll be more likely to find a good accommodation deal. 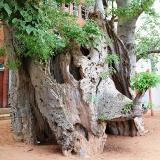 Kasane represents the opportunity for the adventurous traveller to immerse themselves completely in the rustic comforts and the sprawling natural beauty for which this continent is so internationally beloved. 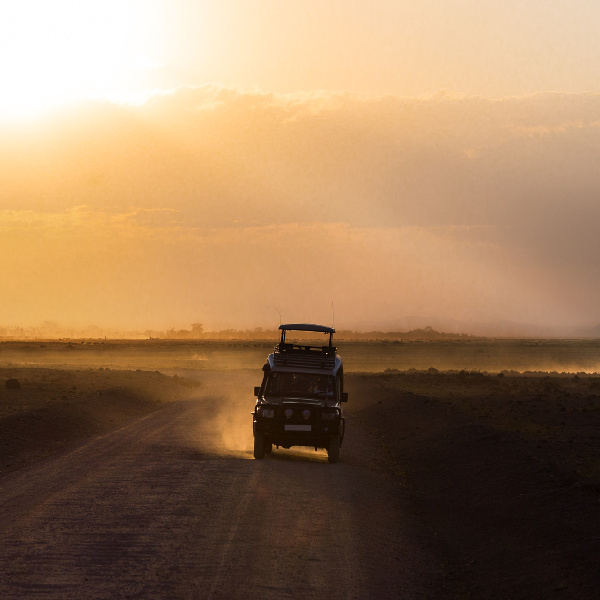 It offers miles of untouched splendour, and the opportunity to come into close contact with the wild and wonderful world, which is so lovingly preserved upon the planes of Africa. 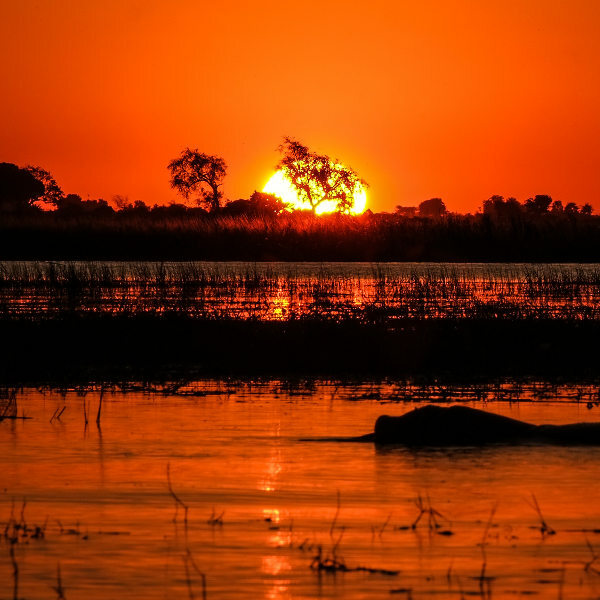 Drift upon the water and soak up the African sunset on one of the local Chobe River cruises, take a 4x4 drive through the miles of breath-taking safari, or just stroll through the quiet streets of the sun-soaked little town; it’s just you and the limitless wonders of Africa. Compare several airlines, and book your cheap flights to Kasane online at Travelstart! 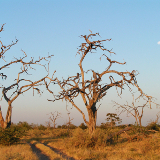 The Centres for Disease Control recommends that travellers to Botswana ensure that their routine vaccinations are up-to-date, and that they get immunisations for hepatitis A and typhoid, both of which are spread through contaminated food and water. Kasane is located in an area of Botswana troubled by malaria, particularly during the rainy season. It is recommended that you obtain antimalarial medication and mosquito repellent for your trip. In terms of serious crime, Botswana is widely considered one of the safest countries in Africa. The thin population density of Kasane and the surrounding region means that thieves will have little opportunity to commit any petty crimes. Keep an eye on your valuables, and you’re unlikely to face anything in the way of personal security risks during your time in Botswana. Whether you fancy a spot in town, down by the riverside, or out amidst the rambling wilds, Kasane boasts an extensive array of enchanting, professionally-maintained accommodation establishments for the getaway-seeking traveller to choose from. Spend your stay immersed in the top-end, baobab-shaded luxury of Mowana or amidst the self-maintained, rustic pleasures of one of the region’s campsites; whatever you may opt for, there’s little doubt that your Kasane experience will be unforgettable. Due to Kasane’s small size and thin population, public transportation options are both limited and not usually particularly necessary. Minibuses offer cheap transport between Kasane and other towns; but for the most part, places of interest in and around the town can be reached quite easily on foot. Travellers who wish to do so, however, may opt to join a game drive through one of the region’s stretches of natural beauty, or take a cruise down the Chobe River, alongside which the town is built.